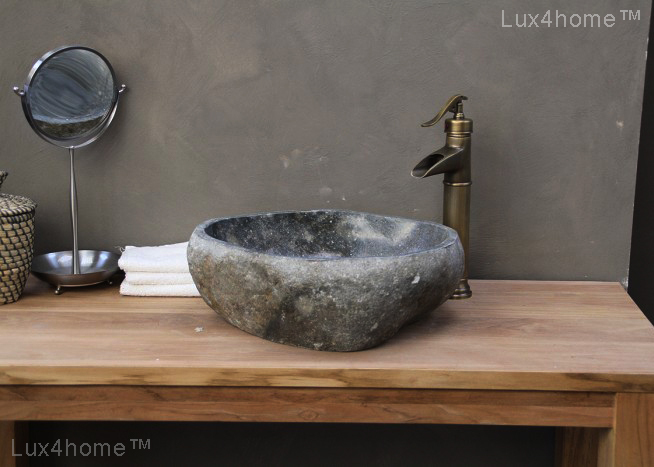 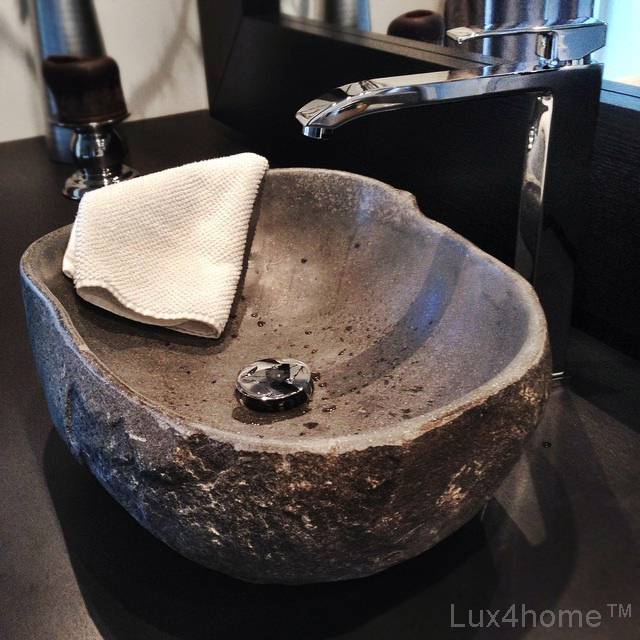 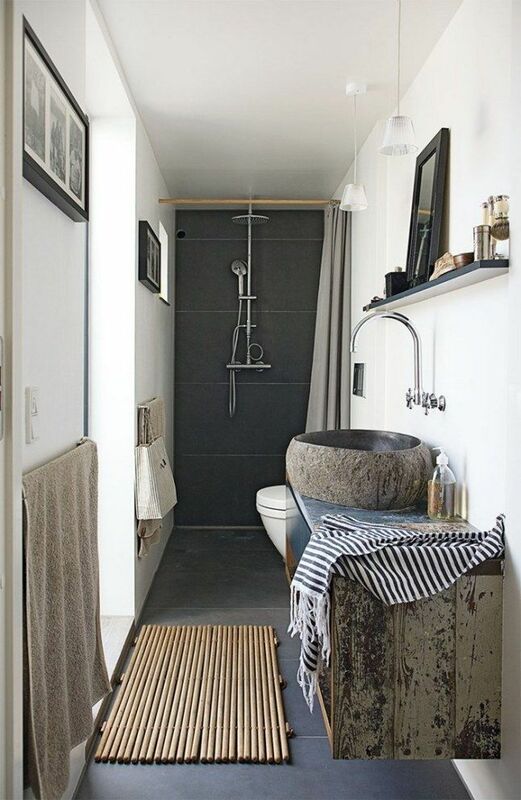 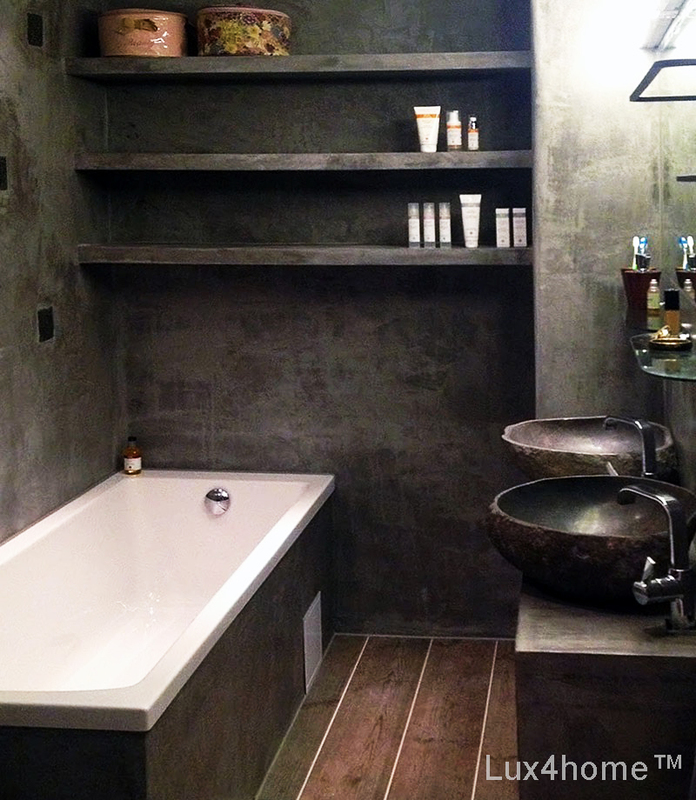 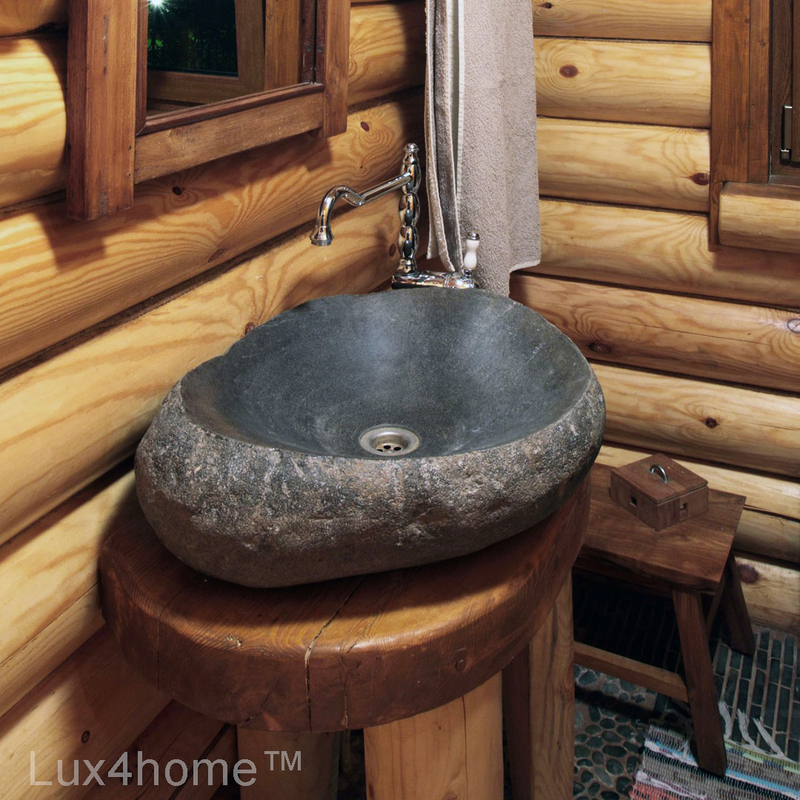 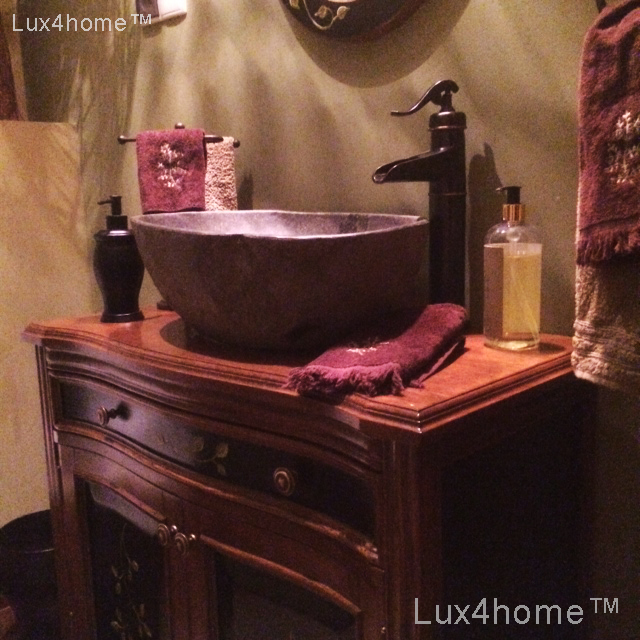 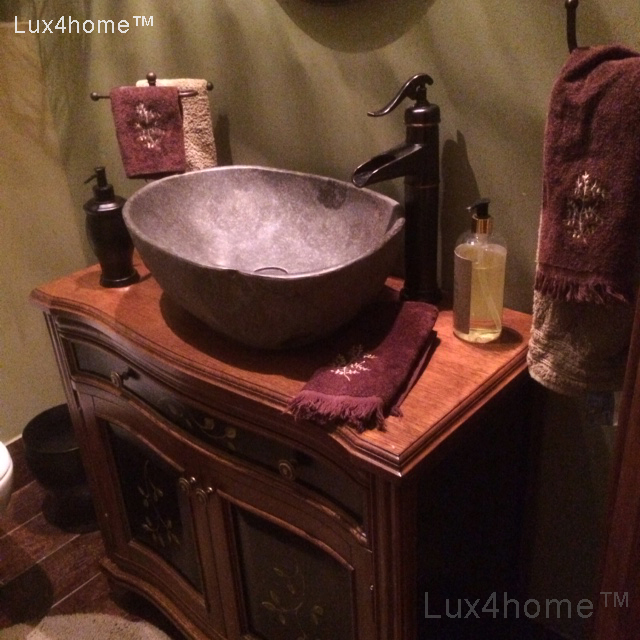 Unarguably the most popular natural stone sink, now made with extra care. 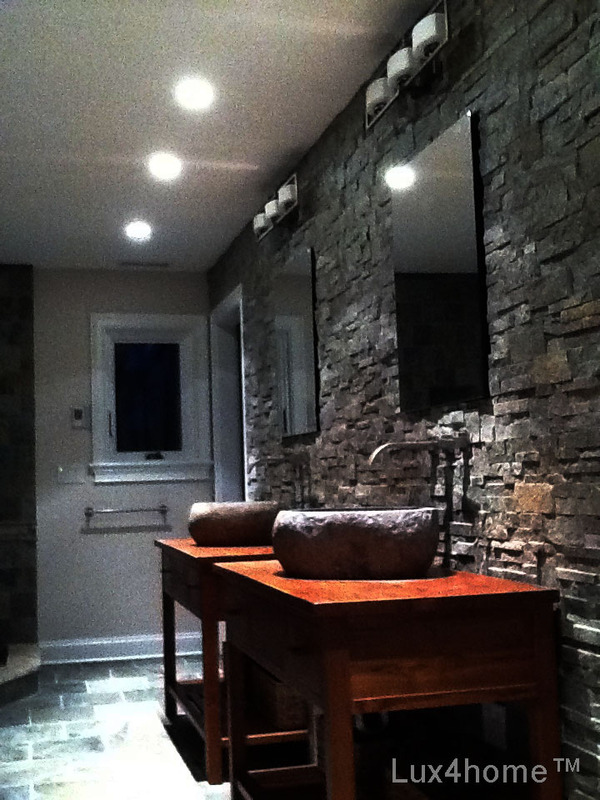 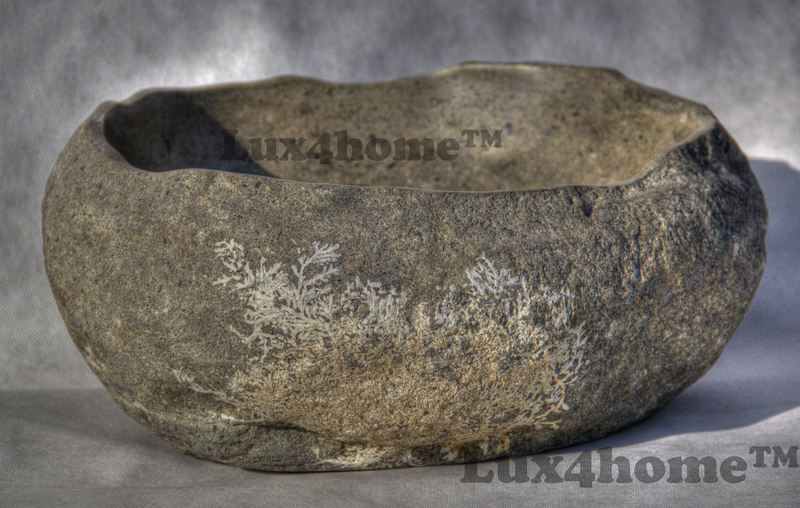 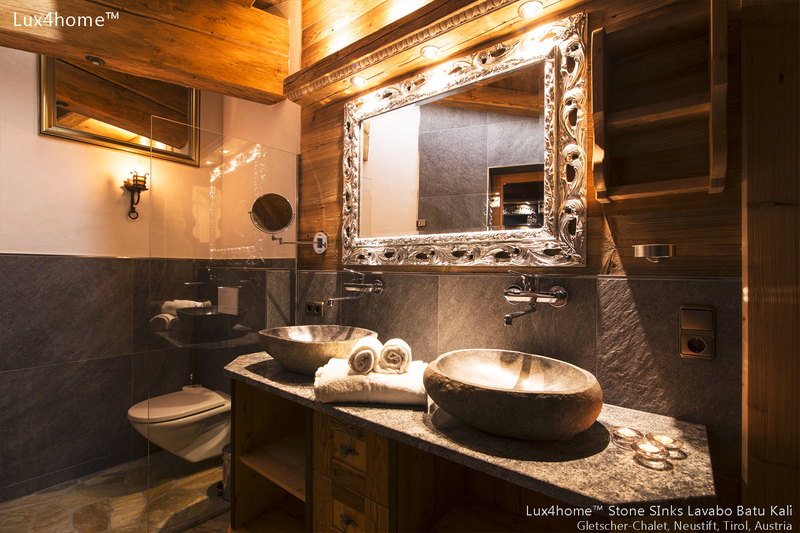 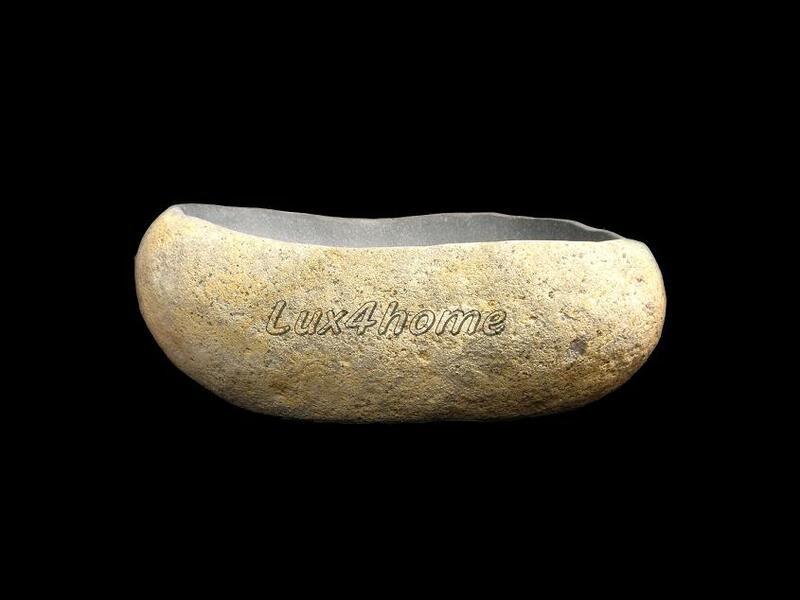 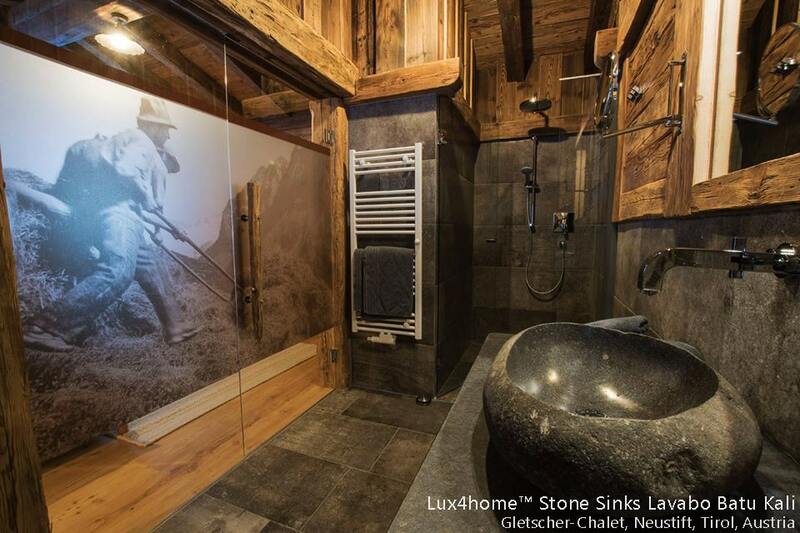 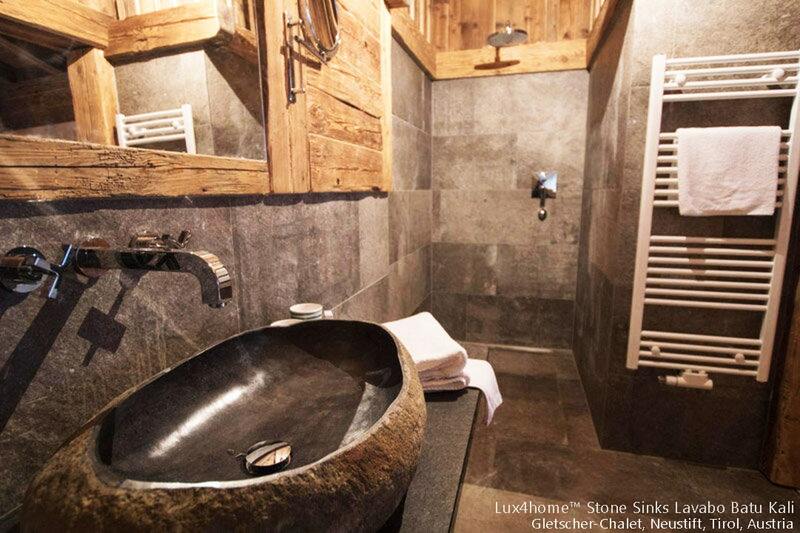 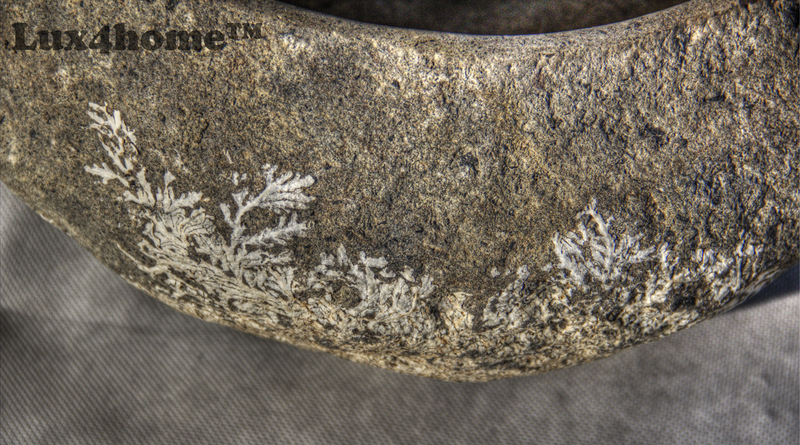 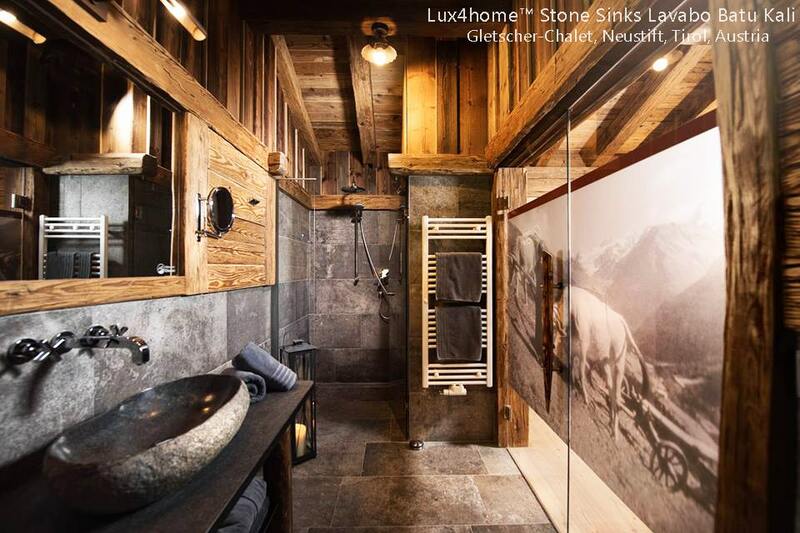 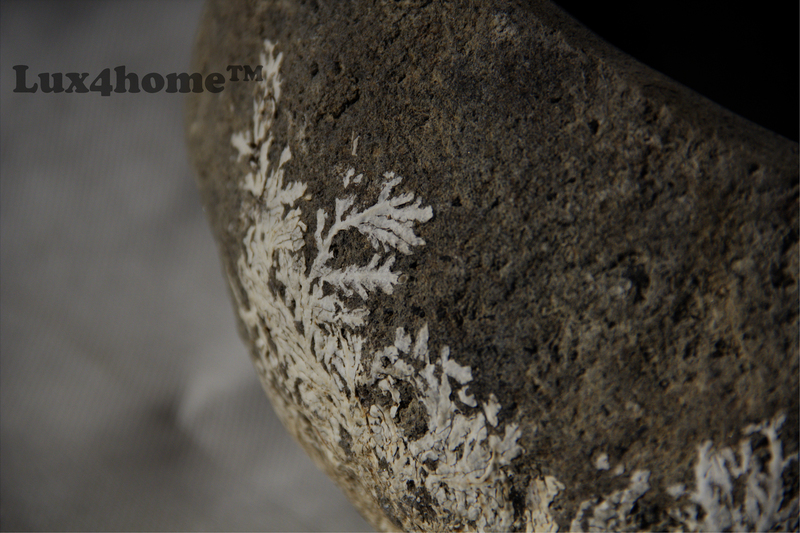 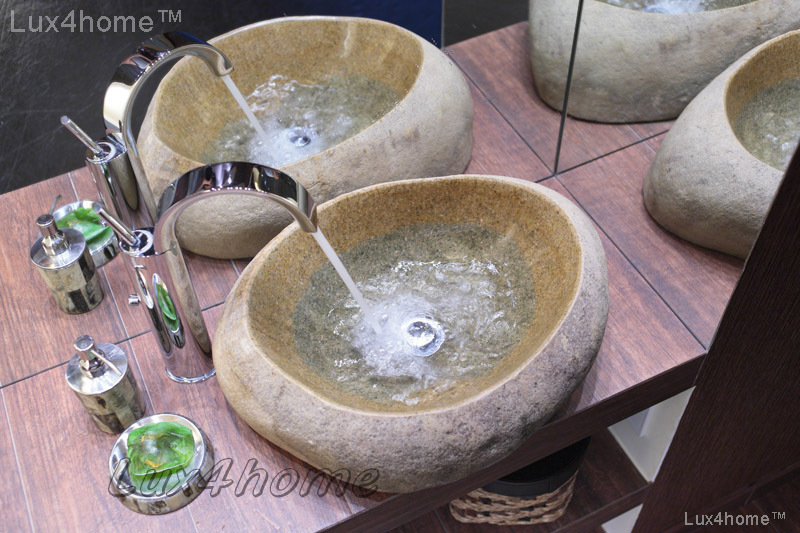 River Stone collection has been successfully breaking sales records all over the world ever since it was introduced. 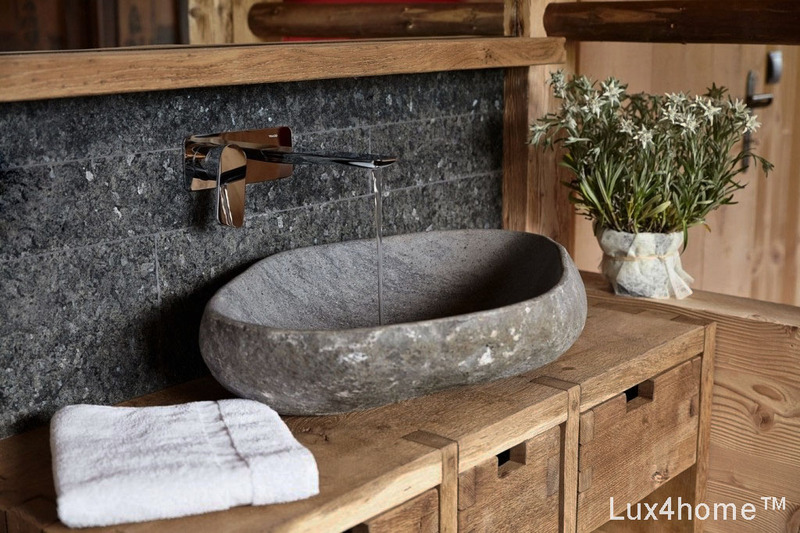 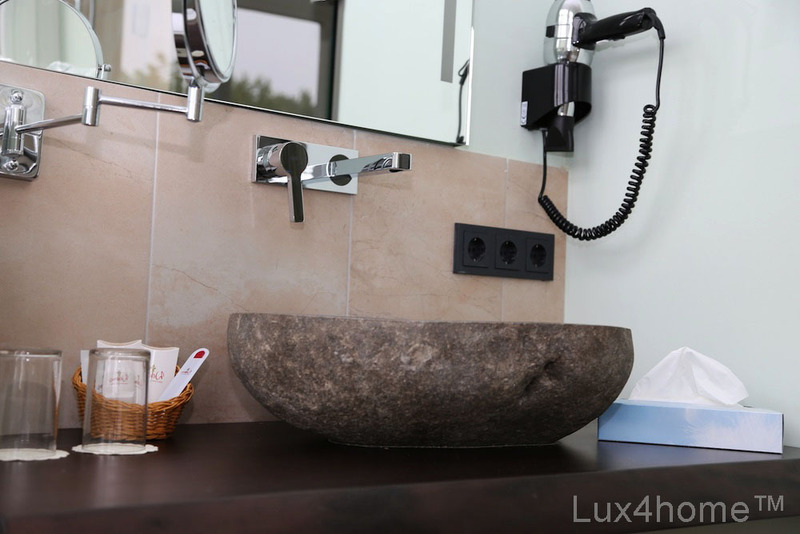 The combination of stone’s natural durability with the delicate touch of our artisans results in an exotic stone wash basin that excites for years. 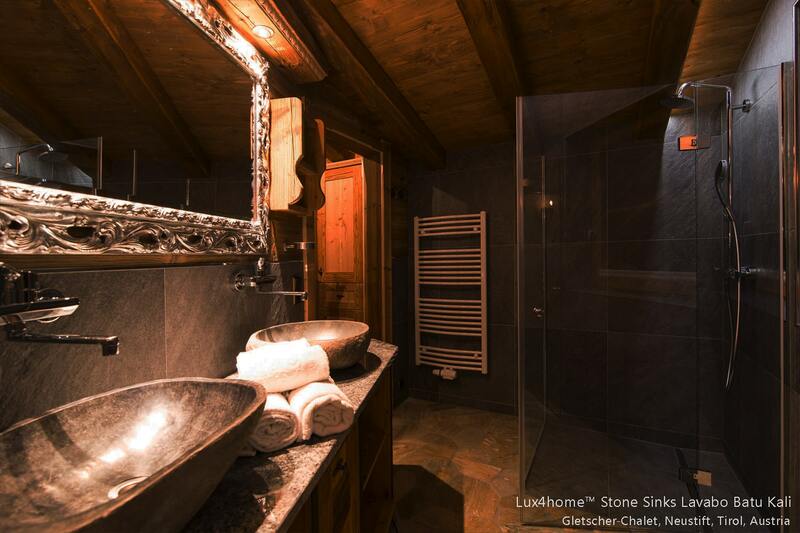 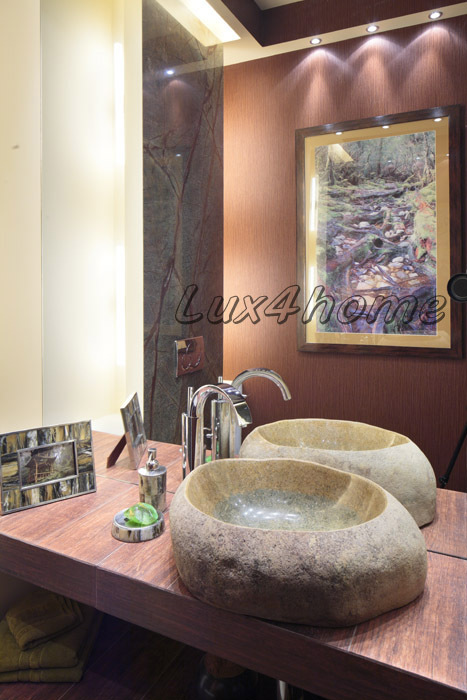 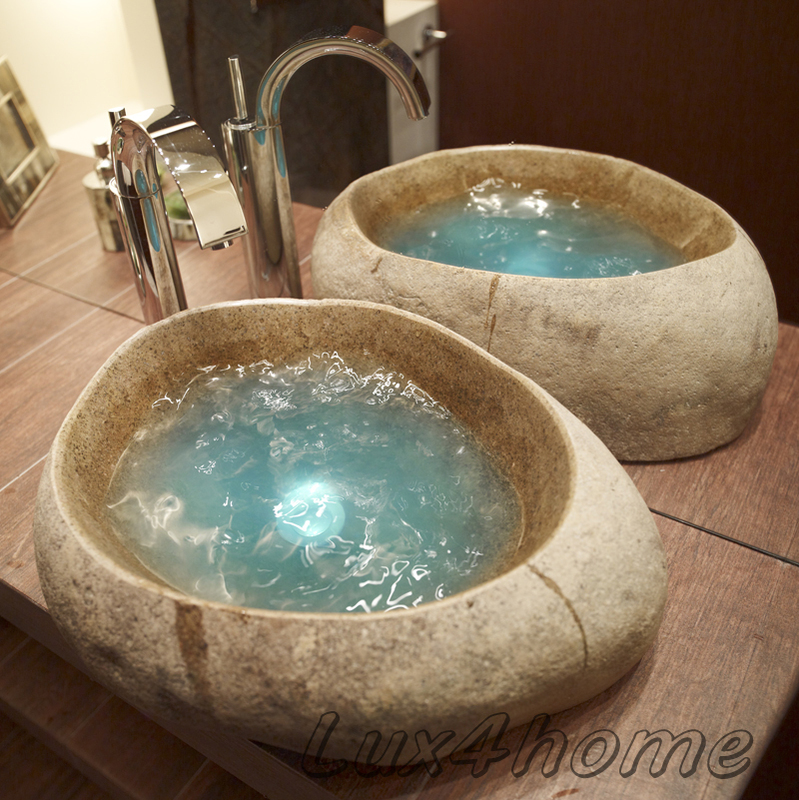 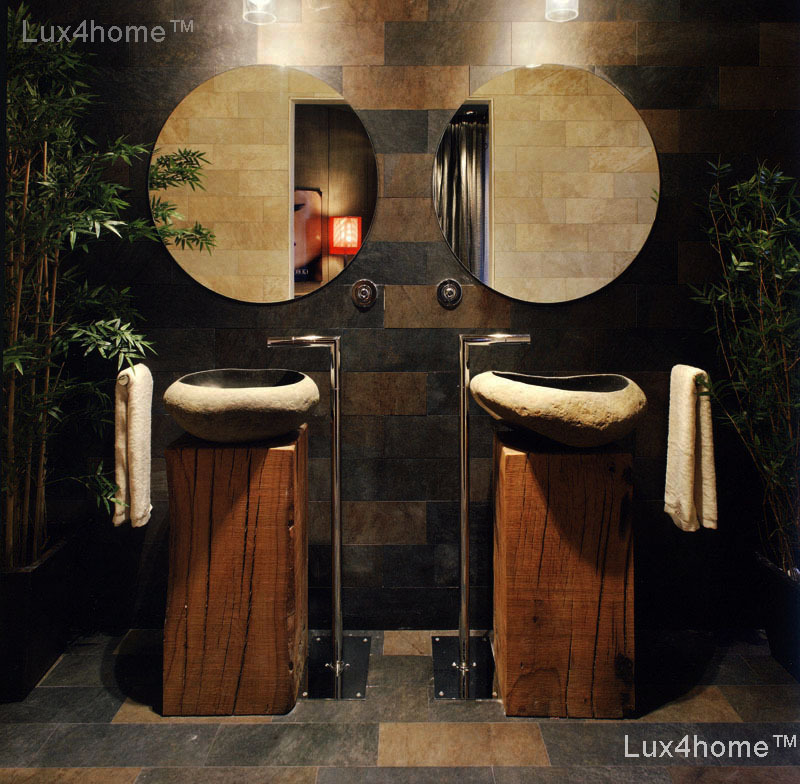 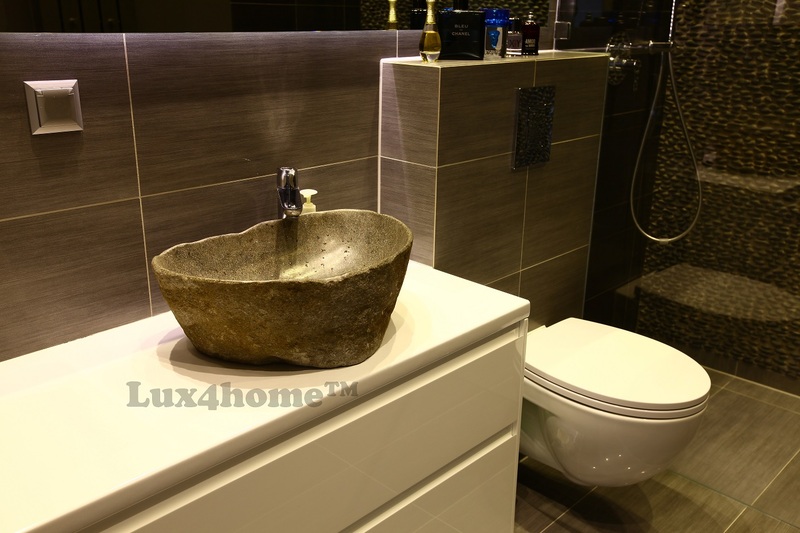 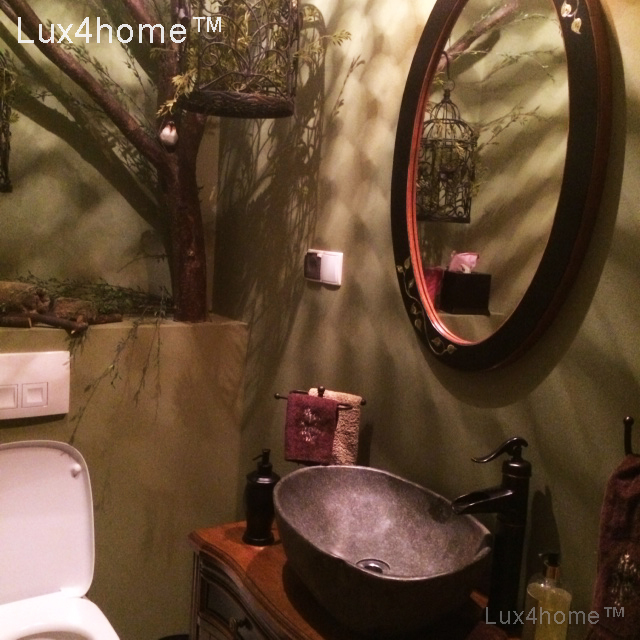 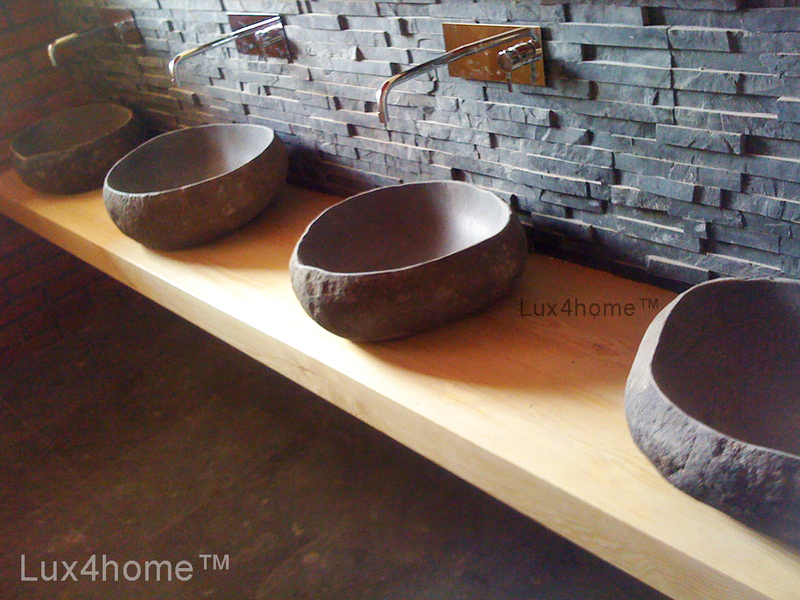 Have a look through the Lux4home catalogue and find out about the diversity of our Riverstone washbasins. 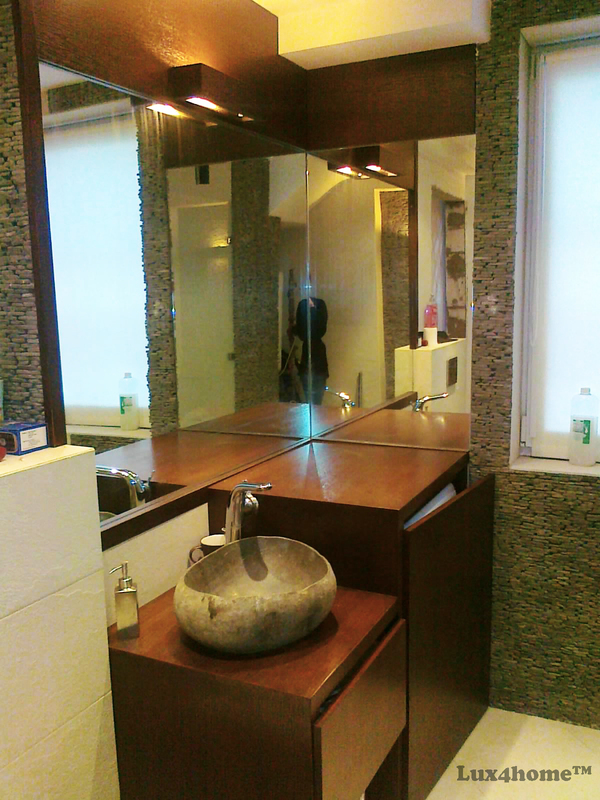 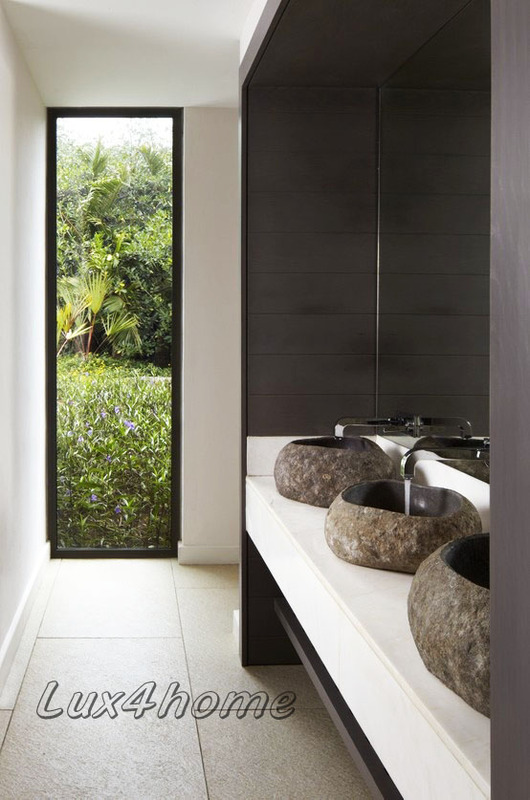 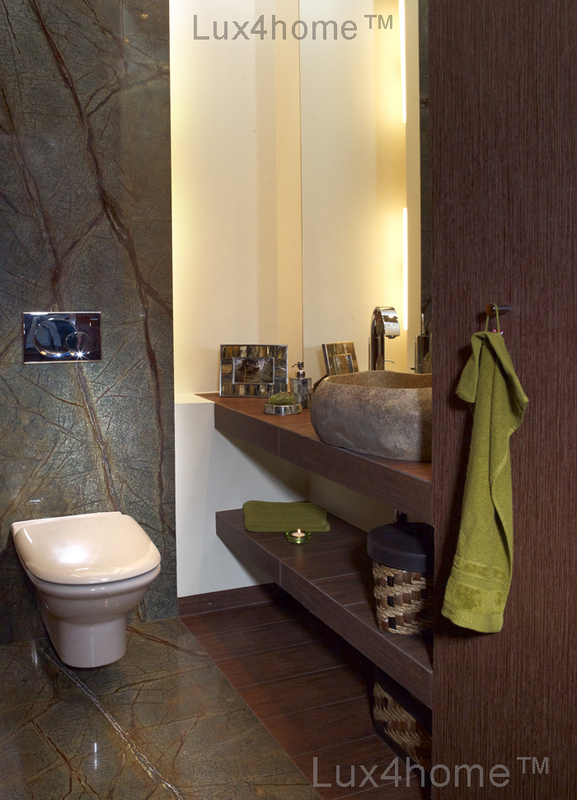 Lavabo Batu Kali features thin-ended walls to provide a smooth and elegant design. 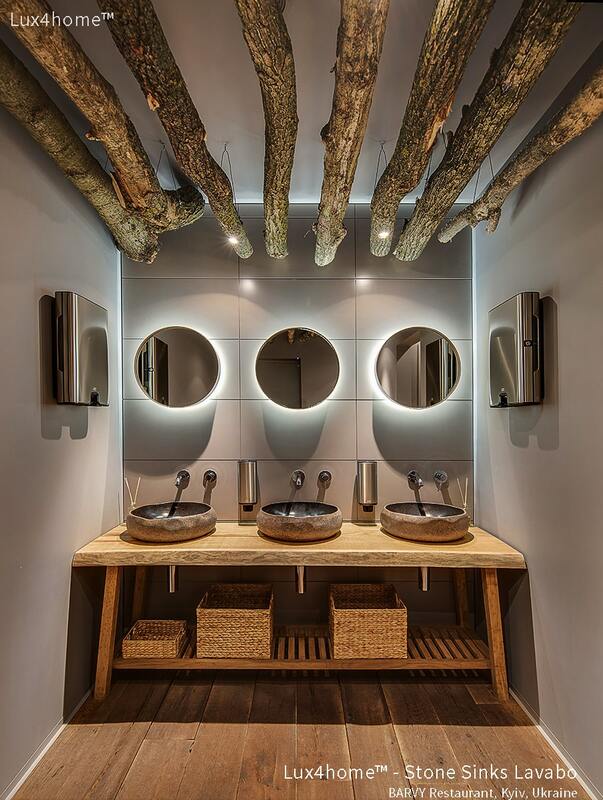 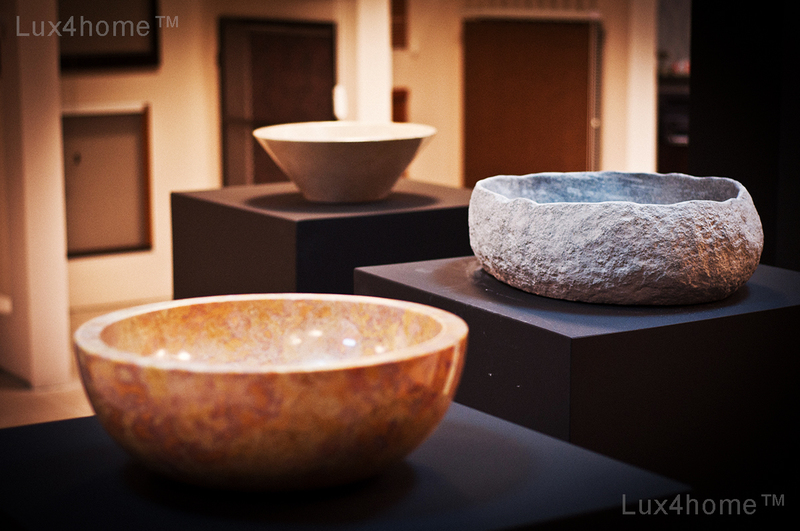 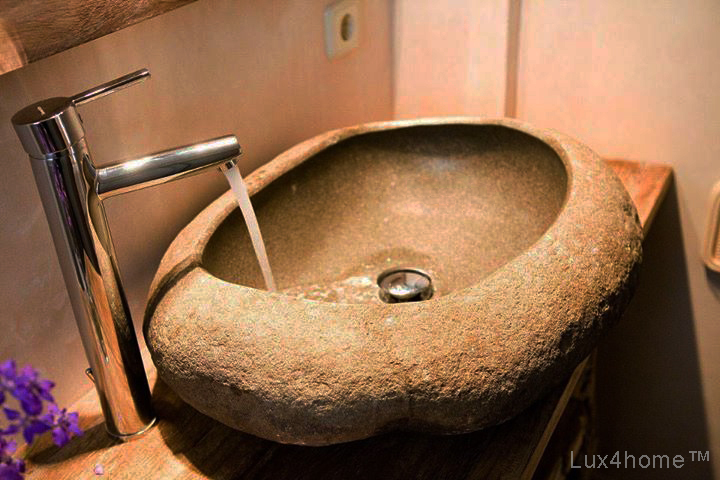 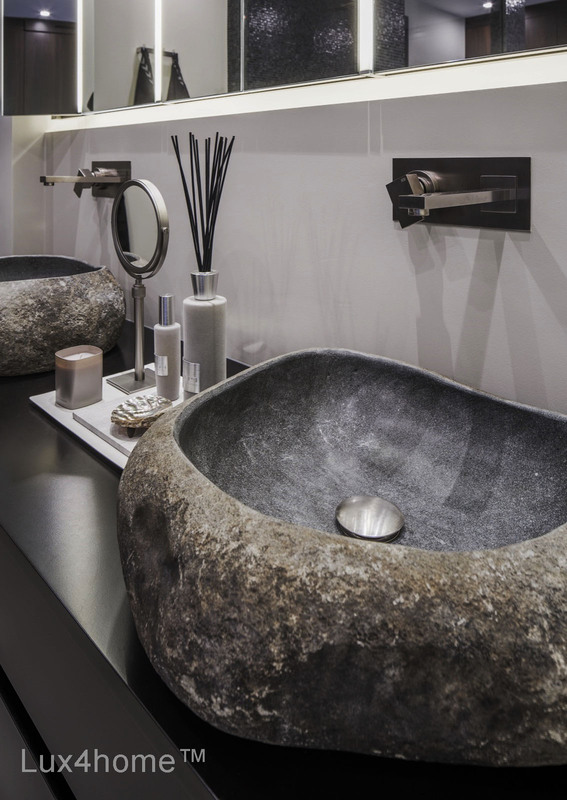 Pebble sinks are crafted from the natural river stone, which means that every item is unique in terms of its colouristics and outside structure. 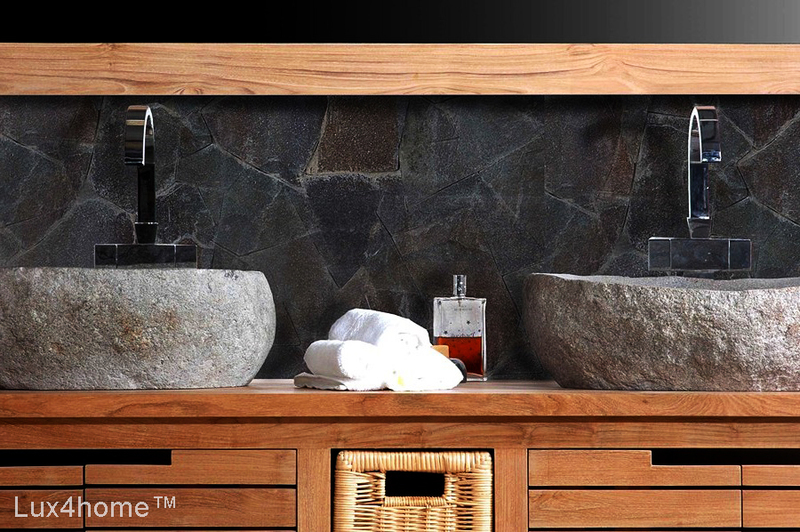 Note that there aren’t two exact sinks shapes.